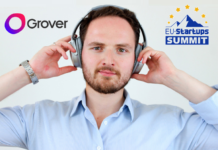 Probably everyone following what’s happening in the startup world has heard of Oliver Samwer before. But aside of some myths and rumors, there is not that much info about the CEO of Rocket Internet out there. 1. Birth/Childhood: Oliver Samwer was born in 1972. He is two years younger as his brother Marc and 3 years older as his brother Alexander. He grew up in Cologne and during his childhood he had to wear the clothes of his older brother Marc. 2. 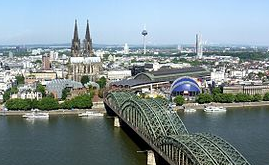 His Father: Oliver Samwer’s father, Sigmar-Jürgen Samwer, was a well known lawyer in Cologne (main topic: media- and competition-law). One of his clients was literature Nobel Prize Winner Heinrich Böll and Karl Carstens (who later became President of Germany). As a teenager Oliver Samwer joined his father on Saturdays in his office. 3. Successful Ancestor: The grand-grandfather of Oliver Samwer founded the insurance company “Gothaer Versicherung” – which in 2012 generated over 4 billion in revenue. He’s also a citizen of honor of the German town Gotha. 4. 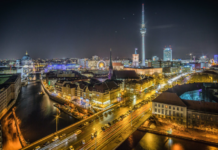 Early Plans: During a boat ride as teenagers on the Vierwaldstätter Lake, Oliver and his brothers decided that they once want to to start a company together. 5. His Mother: Oliver Samwer’s mother was not amused about the plan of her sons to become entrepreneurs. She thought it would be better if they work for an insurance company or something similar. 6. School Years: Oliver Samwer graduated from high school at the Friedrich-Wilhelm-Gymnasium in Cologne. His grade point average was 0,8 – which is better than an A. Till this day, Oliver Samwer and his brothers are sending greeting cards to their favorite tutors (for e.g. to Christmas). 7. Military Service: Oliver Samwer couldn’t do military service because of an injury caused by a bicycle accident. However his older brother was in the German army for his military service and his younger brother did community service. 8. Studies: Oliver Samwer studied Business Administration at the WHU – Otto Beisheim School of Management in Vallendar near Koblenz. During his studies, Oliver Samwer received a scholarship of the Studienstiftung des deutschen Volkes (“Foundation of the German people”). 9. Education/Employment: In 1992 Oliver Samwer worked as a trainee at the investment bank Sal. Oppenheim. This period was one of the few months in his career where Oliver Samwer was employed by a company he didn’t start by his own. 10. Silicon Valley: In 1995 Oliver Samwer visited the Silicon Valley for the first time. 11. The 1st Startup: Oliver Samwer founded his first startup (Ego International Trading Company) 1996 in Bolivia. The company produced Filz-shoes for South America. 12. Diploma Thesis: Oliver Samwers diploma thesis (1998), which he created together with Max Finger, was named “America’s most successful startups”. It is still worth reading and can be found here. 13. 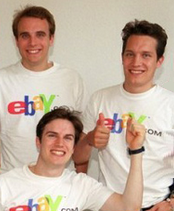 The 1st Clone Idea: At Christmas 1998 Oliver Samwer and his brothers talked about eBay’s business model and decided to copy it. 14. Alando: On the 1st of March 1999, Oliver Samwer and his brothers started alando (in Berlin, Kreuzberg). Aside of the Samwers, the founding team also consisted out of Karel Dörner, Jörg Rheinboldt und Max Finger. Horst Albach, once BWL-Professor at the WHU in Koblenz, provided Oliver Samwer with the initial funding to start alando. 15. 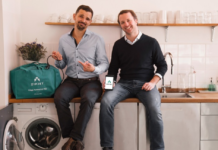 1st Big Exit: About 100 days after the start of alando, Oliver Samwer and his brothers sold the company for $ 43 million to eBay. Today, Oliver Samwer names this quick sale to eBay as the probably biggest mistake of his career. After the acquisition, Oliver Samwer stayed with ebay for a while as a Managing Director responsible for the German speaking market (DE, CH, AT). 16. 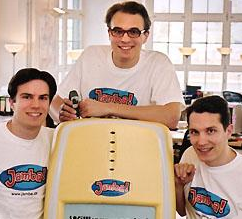 Jamba: After his ebay time Oliver Samwer, his brothers, Max Finger and Ole Brandenburg founded the ringtone provider Jamba in the year 2000. 17. Jamba Exit: Four years later, the company was sold to Verisign for $ 273 million. Oliver Samwer was part of Jamba’s executive team till the end of 2005. 18. 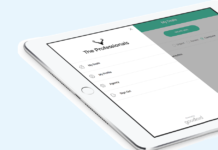 VC activity: With the European Founder Fund (EFF), a VC fund started by the Samwer brothers, Oliver Samwer invested in countless startups over many years. Global Founders Capital (founded in 2013) could be described as the successor of the EFF. 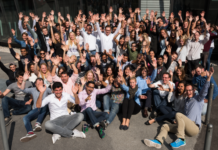 Global Founders Capital has been equipped with € 150 million and just merged with Rocket Internet. 19. 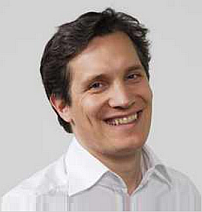 Rocket Internet: Oliver Samwer founded Rocket Internet back in 2007. Rocket Internet became famous (and feared) for beeing the most successful and most aggressive clone factory for startups – on a global scale. In 2014 Rocket Internet switched its legal form to an AG (IPO around the corner). Currently, Oliver Samwer is the CEO of Rocket Internet. 21. Name Selection: Oliver Samwer showed some kind of humor in regards to the name selection of Zalando. The name is a tribute to alando, the eBay-clone of the Samwer brothers. The Z was inspired by Zappos, the model for Zalando. When you look at the huge amount of companies Oliver Samwer started (or helped starting) over the years, you clearly see his preference for short fantasy names. 22. Sports: Oliver Samwer often speaks in soccer- and formula 1-metaphors when he talks about business. But actually Oliver and his brothers used to play hockey – in fact, all three of them became hockey trainers. 23. Programming Skills / Vanity: Oliver Samwer has no programming skills at all. In regards to vanity, Oliver Samwer claims that he didn’t set up a Google Alert for his name. He usually also avoids contact with the press. 25. Big Plans: Someday Oliver Samwer would like to be seen in the tradition of major German companies like Miele, Grundig or Siemens. Although he’s already 42 years old and worth many hundreds of million Euros, Oliver Samwer recently stated that he plans to work as hard as ever before for at least the next 25 years.